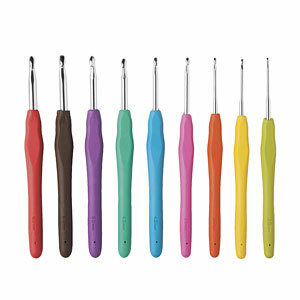 Crochet hook set includes ergonomic cushion grip handles by Two Twigs. Ideal for arthritic finger, hand and wrist pain. Premium quality aluminum hooks. Vividly colored 29-piece set/long lasting fabric case/perfect for travel. Start your enjoyable crochet experience today!